Add a spritz of edible metallic glitter with the non aerosol glitter sprays from House of Cake. This silky smooth shade of gold adds effortless chic to cake decorations to take them from classic to couture in an instant. It is easy to create a fashionable metallic look, simply hold the spray approx 10-20cm away from the cake and spray in short, gentle bursts. 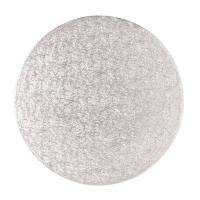 The Glitter Sprays can transform a plain surface with just one spritz.